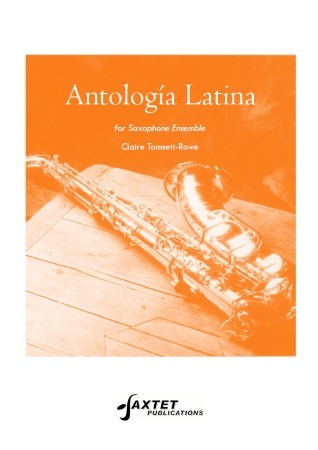 A suite of three pieces set in Latin America. The ideal line-up is SSAATTBB & Bs, although the alternative parts provided mean it can be played by a variety of different combinations. 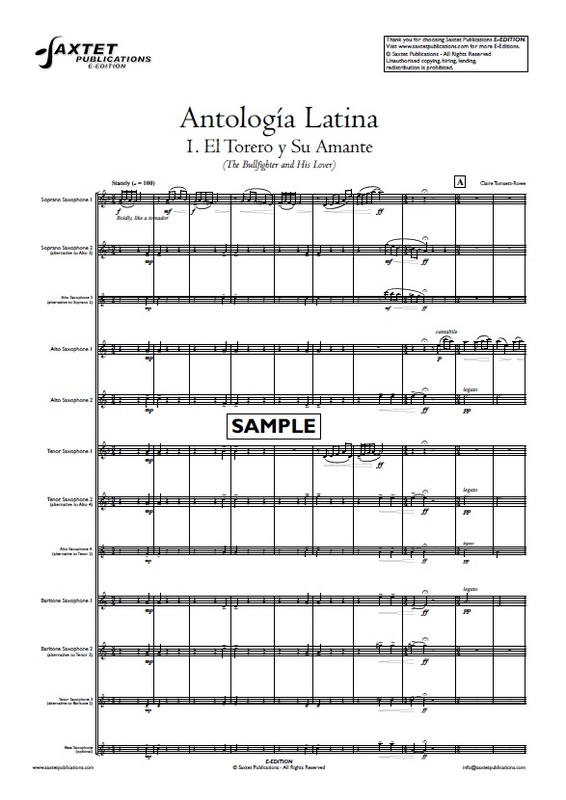 The three pieces in this suite are set in Latin America. The first movement, “El Torero y Su Amante” opens in the market place at dawn with the bull fighter calling to his lover and her mournful reply. The villagers begin gathering and the music reflects their chatter and calls with the lovers chasing each other through the square. The second movement, “El Burro Borracho” is later in the day and follows a donkey who has had a particularly indulgent luncheon. The third movement, “Pasos Apasionados” is set in the evening heat, back with the lovers who play out their whirlwind courtship through a passionate dance. The ideal line-up is SS AA TT BB & Bs, although the alternative parts provided mean it can be played by a variety of different combinations.